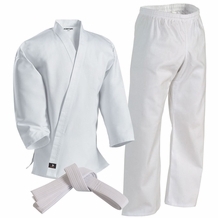 Taekwondo Supply, taekwondo Supplies & TDK Training Equipment sold at Discount prices. 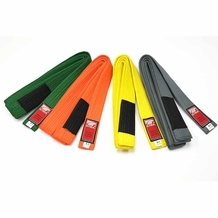 Guaranteed lowest prices on Martial Arts Supplies, uniforms, sparring gear, item, shoes, and accessories. Taekwondo was developed by major general Choi Hong Hi in Korea during the 1940s as partial combination of Taekkyeon and Okinawan Karate. There are two main branches of taekwondo development, although they are not mutually exclusive. Traditional taekwondo typically refers to the martial art as it was established in the 1950s and 1960s in the South Korean military, and in various civilian organisations, including schools and universities. In particular, the names and symbolism of the traditional patterns often refer to elements of Korean history, culture and religious philosophy. Traditional Taekwon-Do may refer to ITF Taekwon-Do. Sport taekwondo has developed in the decades since the 1950s and may have a somewhat different focus, especially in terms of its emphasis on speed and competition (as in Olympic sparring). Sport taekwondo is in turn subdivided into two main styles. One style is practiced by International Taekwon-Do adherents and was created in 1955 by General Choi Hong Hi. The other style derives from Kukkiwon, the source of the sparring system sihap gyeorugi. This style is now an event at the summer Olympic Games and is governed by the World Taekwondo Federation (WTF). The Kukkiwon - or World Taekwondo Headquarters - is the traditional center for WTF taekwondo and was founded in 1973 by Dr. Kim Un Yong. Although there are doctrinal and technical differences between sparring in the two main styles and among the various organizations, the art in general emphasizes kicks and punches thrown from a mobile stance. Taekwondo training generally includes a system of blocks, kicks, punches, and open-handed strikes and may also include various take-downs or sweeps, throws, and joint locks. Pressure points, known as jiapsul, are used as well as grabbing self-defense techniques borrowed from other martial arts, such as Japanese Judo, or Korean hapkido, or Korean wrestling or ssireum. In Korean, tae means "to strike or break with foot"; kwon means "to strike or break with fist"; and do means "way", "method", or "path". Thus, taekwondo may be loosely translated as "the way of the foot and the hand." The name taekwondo is also written as taekwon-do, tae kwon-do or tae kwon do by various organizations.